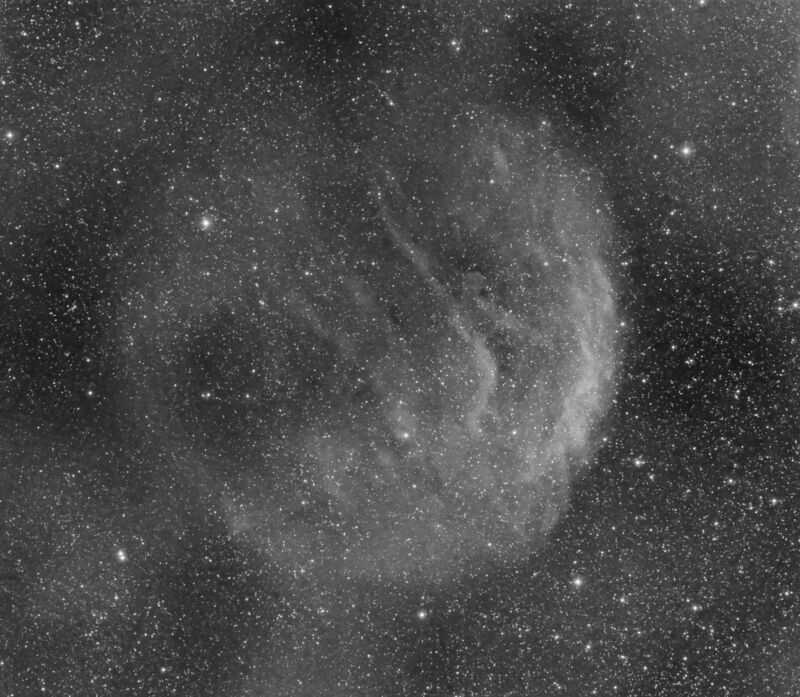 Back in January I took a couple of 1 hour exposures of Sh2-216 using my Ha filter. Nearly one year later, a spell of good weather over a weekend meant that I was able to add a few more and I now have 10 hours worth. Sh2-216 has been calculated at a distance of 129 parsec (420 light years) by measuring the parallax of the central star which places it much closer than the Helix and Dumbbell nebulae at 219 & 379 parsec respectively. It measures about 2 arc degrees on the sky and is very faint.